Slice tomatoes to perfection! 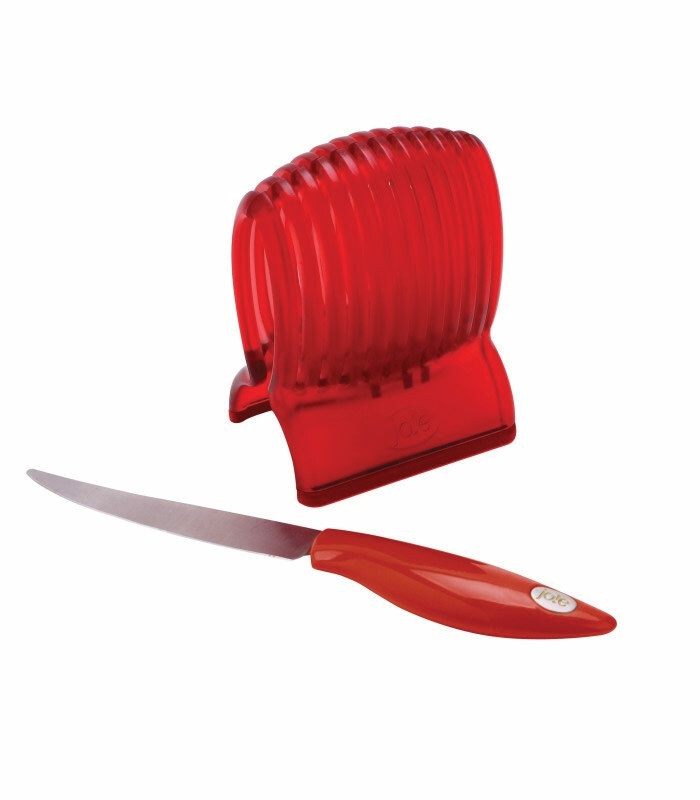 Tomato Slicer and Knife Aid is ideal for those with visual impairment. Safely cut potatoes, onions and more. Just place the tomato or other vegetable into the slicer and simply cut between the grooves for a perfect slice every time. Use only with a non-serrated knife. Also a perfect prep tool for making blooming onions. BPA free and dishwasher safe. Knife measures aprox. 8 1/4 in. Slicer measures aprox. 4 1/2 tall.